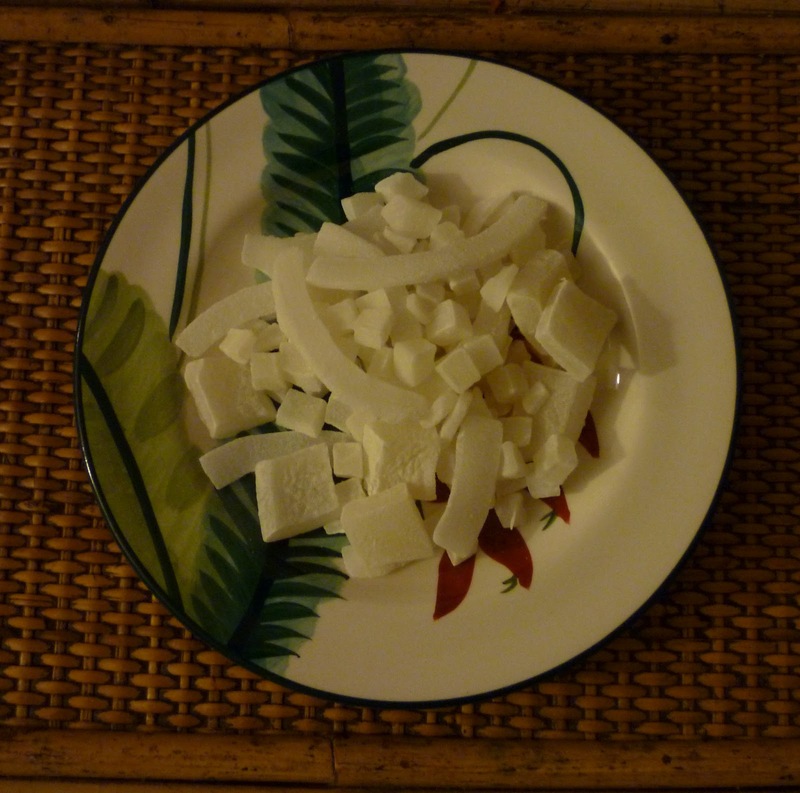 Maui Diary 5 – Longs Lives! Who knew that one of the pleasures of being on a Hawaiian island would be re-connecting with one’s old favorite drugstore? Longs Drugstores used to be plentiful all over the West, but a few years ago they were sold to CVS Pharmacy. Only in Hawaii were they allowed to keep their old name. We noticed that they kept way more than that. The Longs stores where our family shopped for decades were unique among chains that we knew of in that they kept a local flavor, perhaps by letting the lower management have more control. I admit that I didn’t fully appreciate the stores until they were gone and I was left with only more bland chains to choose among if I wanted something smaller than Wal-Mart. All of those stores still seem equally disorganized to me and irritating to shop in. On Maui, the Longs store was just a few paces down the road from our condo. 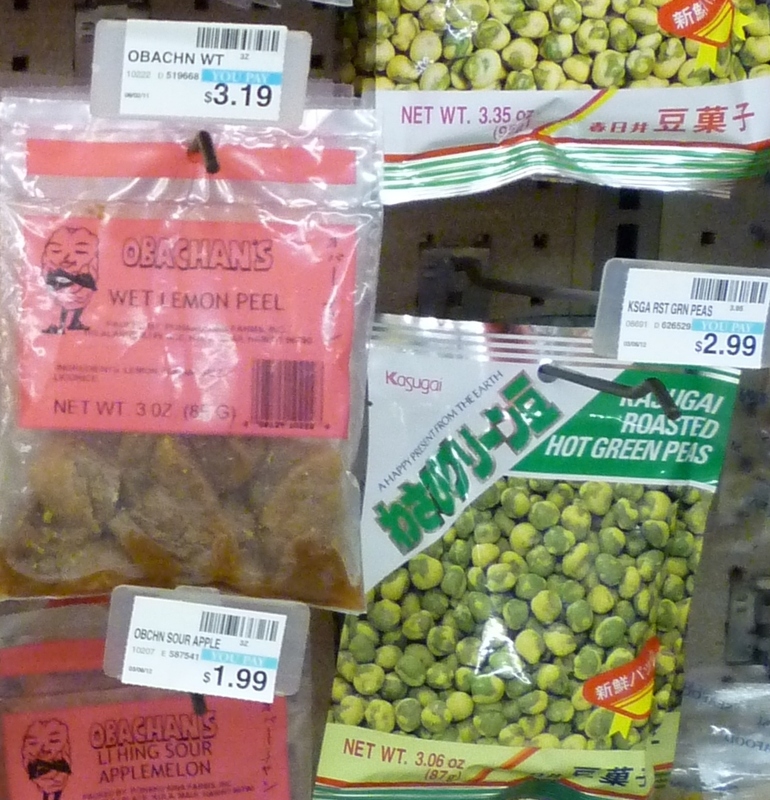 The first time we shopped there, laying in some supplies that we hadn’t brought with us, I reveled in all of the souvenirs, Asian snacks, and a whole aisle devoted to Kona coffee and macadamia nuts. 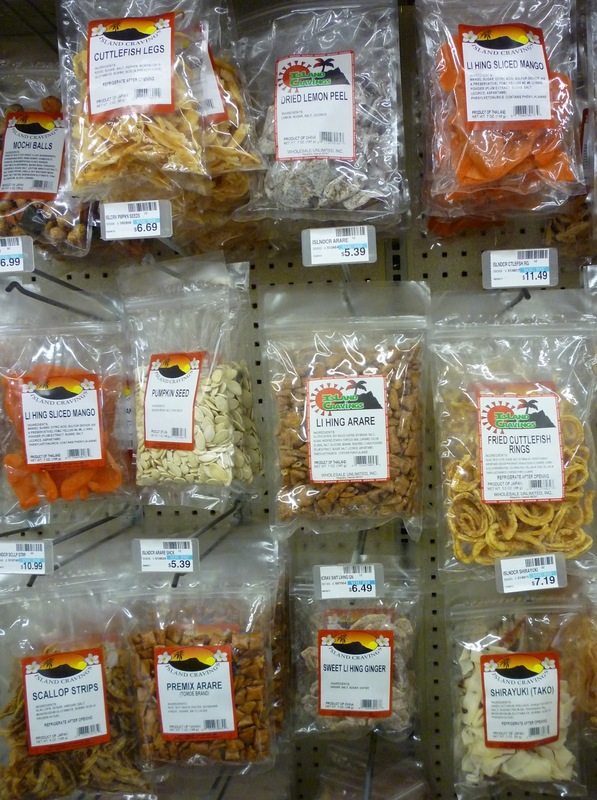 I saw more Asian snacks than I’ve ever seen in my local market that carries nothing but Asian foods, and I got carried away taking pictures of the vast collection of exotic concoctions. The names of the items are hard to read even if you click to get the large photo, so I’ll just tell you that in addition to packages of the more common rice crackers and wasabi pea snacks, there were bags of pickled apricot, fried cuttlefish rings and dried cuttlefish legs, dried mango and banana chips, and lemon peel both wet and dried. I love lemon, but neither of those lemony snacks appealed to me. 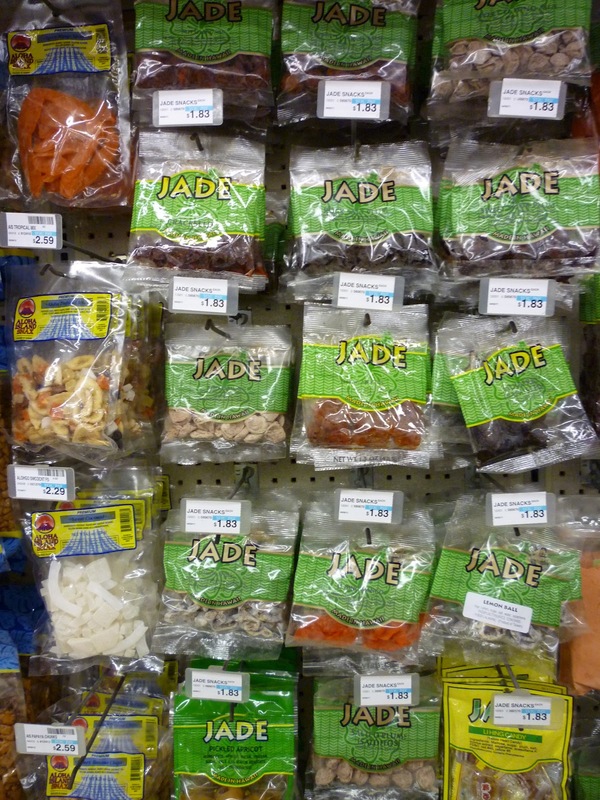 Many items with only Hawaiian or other foreign names filled out the array. 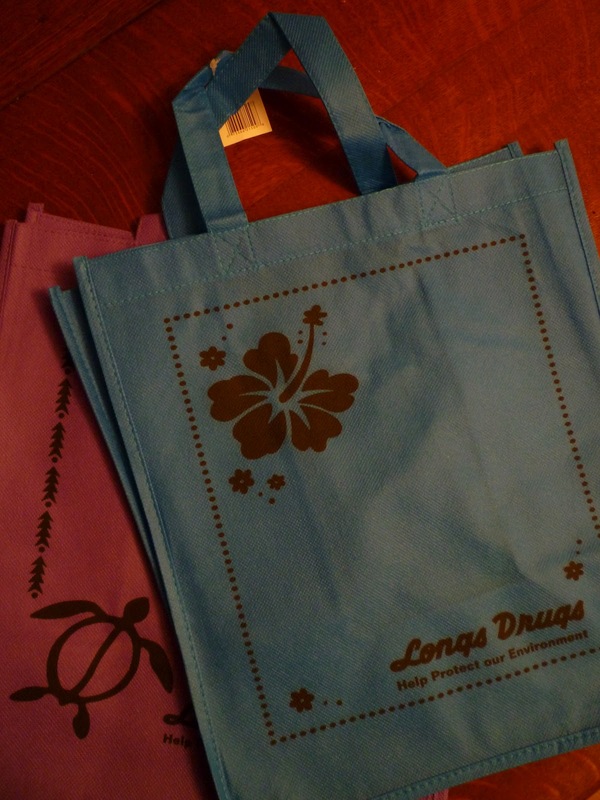 I was awfully excited to find really cheap re-usable carry-out bags with not only the Longs name but also the Hawaii symbols of turtle and hibiscus — it seems my heart was longing for just such a souvenir to bring home. At first I also thought that the Asian snacks were going to come in really handy to keep around during our vacation, but when I read the labels for a few minutes it turned out that almost all of them contained MSG or aspartame or both, so I only bought a fairly simple food that fit with the island theme: dried coconut. 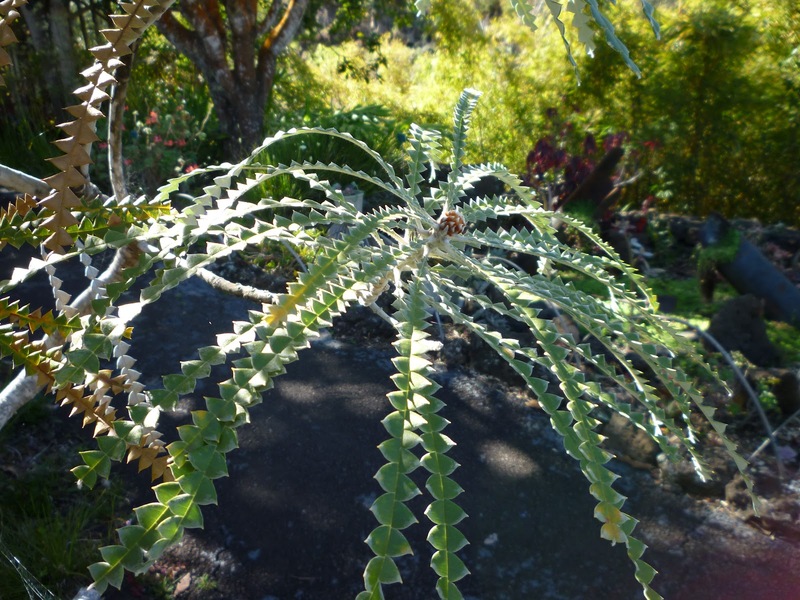 The Kula Botanical Garden is in the part of Maui called Upcountry. 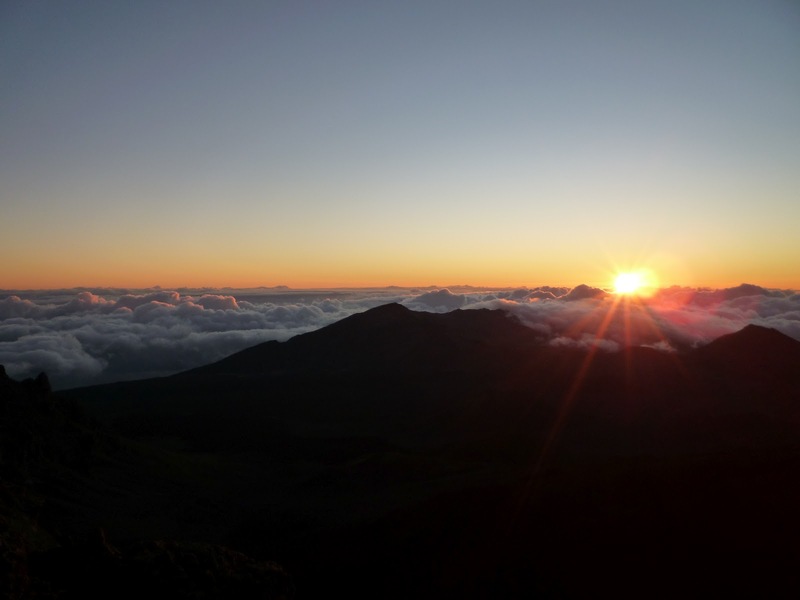 It is conveniently located just far enough down the hill from the top of Haleakala Volcano to be warm and out of the wind. While Mr. Glad dozed on a bench I wandered the paths with my tiny notebook and scribbled the names from whatever markers I could find, of strange plants from all over the world. 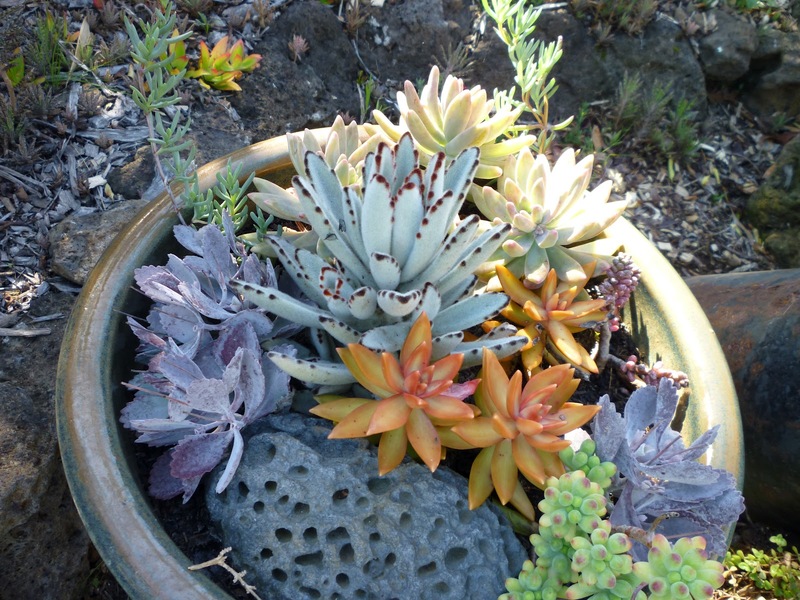 Gradually I thawed out from the high-elevation freezer experience, and breathed the oxygen-rich air of the thick plantings. 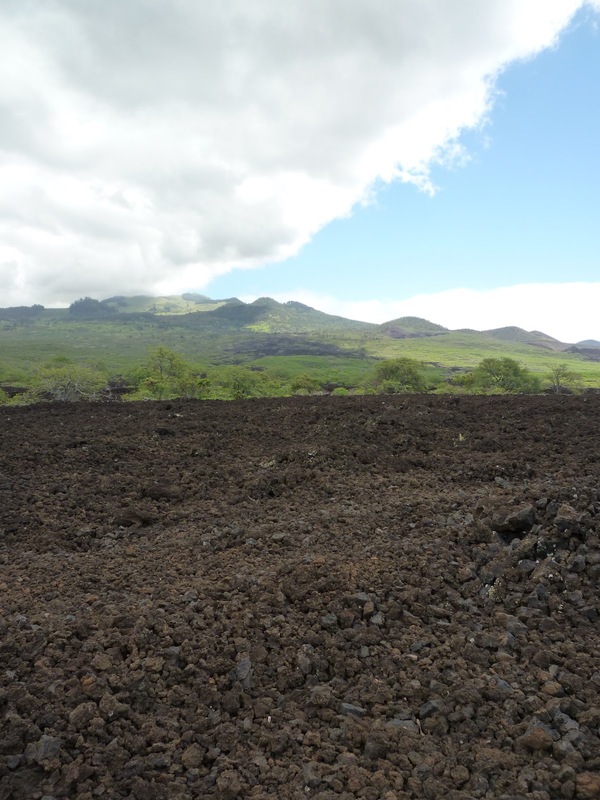 This west side of the volcano is relatively dry, as the rain that blows in from the east stops at the volcano and falls on the other side. 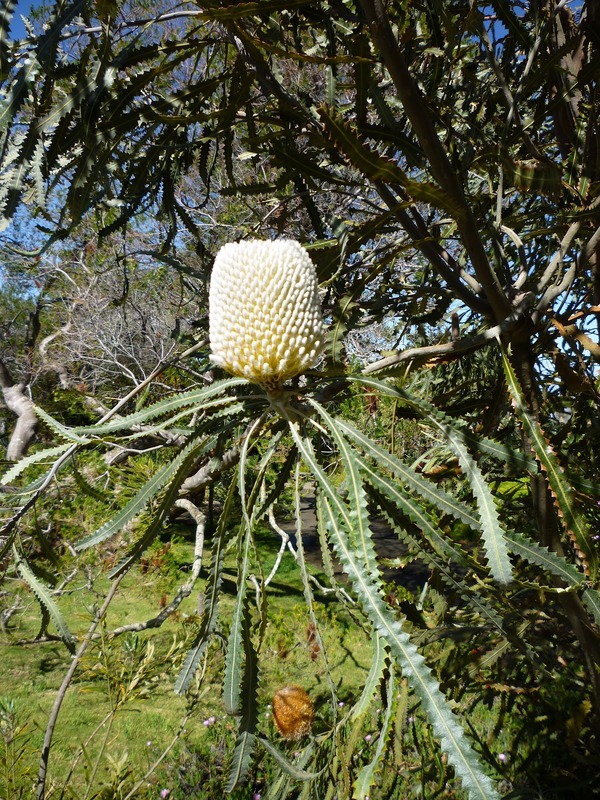 This makes the Upcountry an agreeable climate for species from South Africa and Australia, such as the proteas and their relatives the banksias. 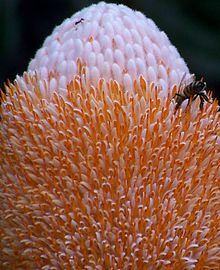 This Orange Banksia (at right), banksia prionotes, was white and not orange when I took this picture, because the florets on its spike had not fully opened, but I found a close-up on Wikipedia showing the collection of little flowers, called an inflorescence, with not quite all of them opened. 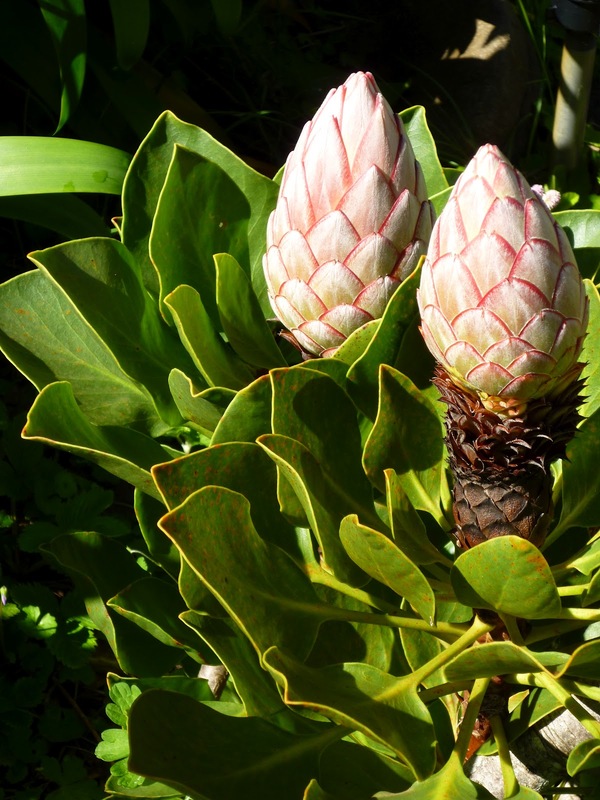 The full opening up of the florets is called anthesis and occurs over several days, spreading from bottom to top. 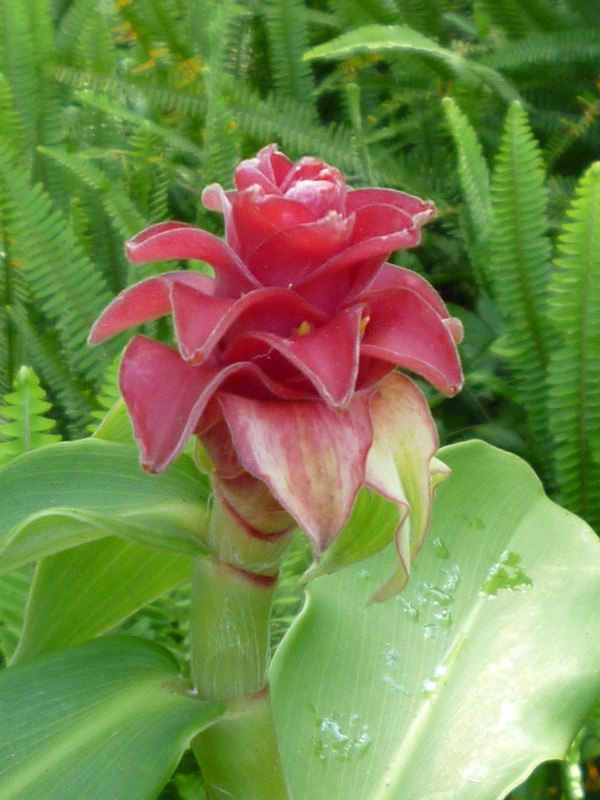 Some of the plants in the garden were unmarked, and will have to remain anonymous for now, like this red one. It would have taken me many more hours or days than we had allotted to thoroughly investigate the wealth of God’s creation represented here. 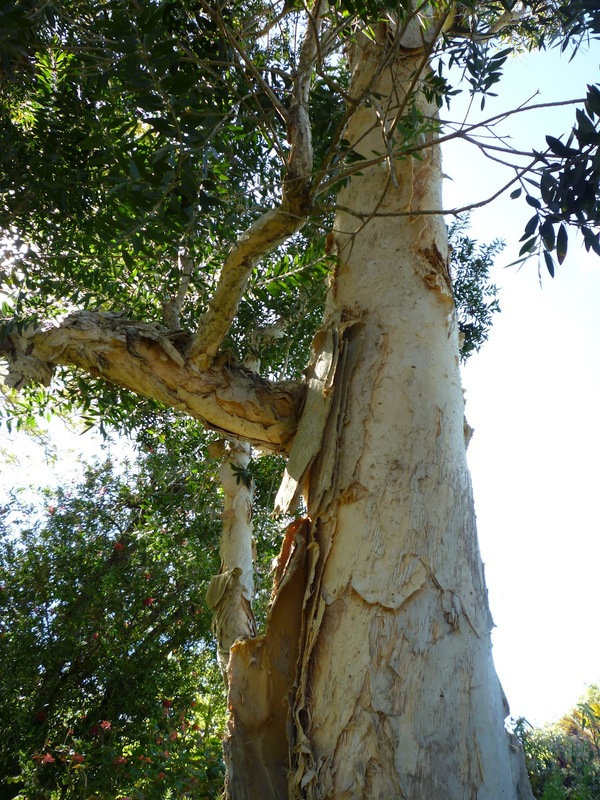 The Paperbark Tree, Melaleuca quinquenervia, is also a native of the Southern Hemisphere, but it has naturalized and can be found all over Hawaii. (In Florida, I read, it is now considered a serious weed.) 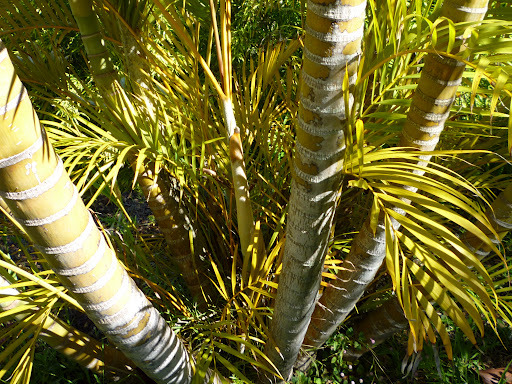 I found out that there are several types of paperbarks, but they are also called simply melaleucas. 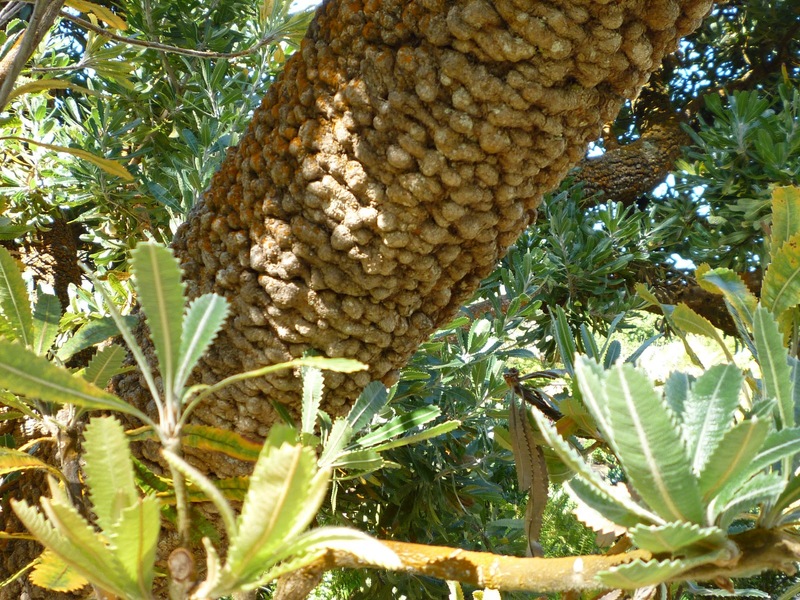 Also of this species are the tea trees, from which the tea tree oil that some of us use medicinally is extracted. 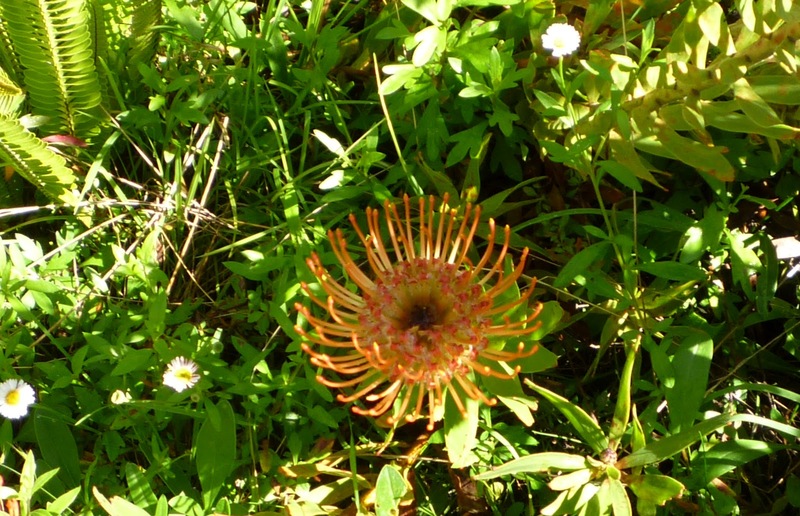 The proteas were many and varied, and what wild and dramatic plants these are! The one above is Catherine’s Pinwheel. 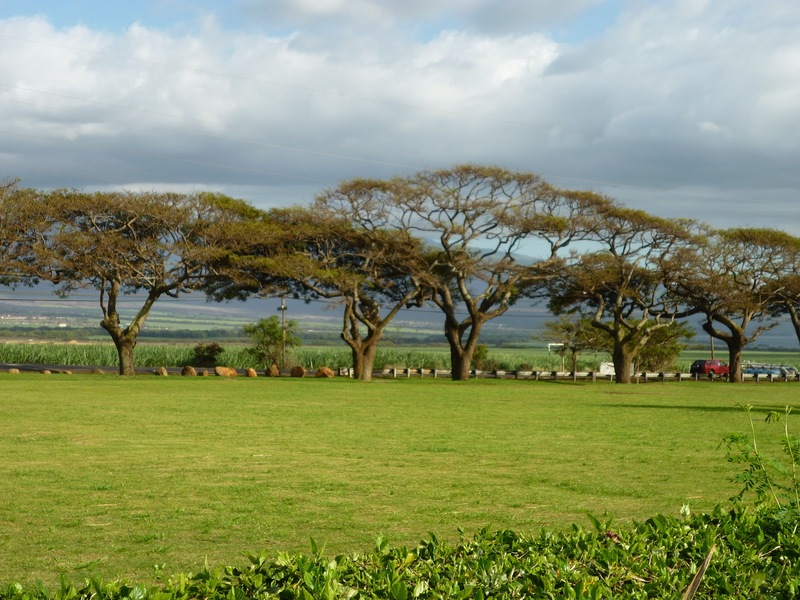 And the trees — my goodness, I was surprised at all the trees on Maui. Did I think that they only grew coconut palms here? This closeup of an Australian tree trunk in the botanical garden was one of the few more intimate looks I got of a tree, because other than at this place we didn’t spend too much time looking at plants. 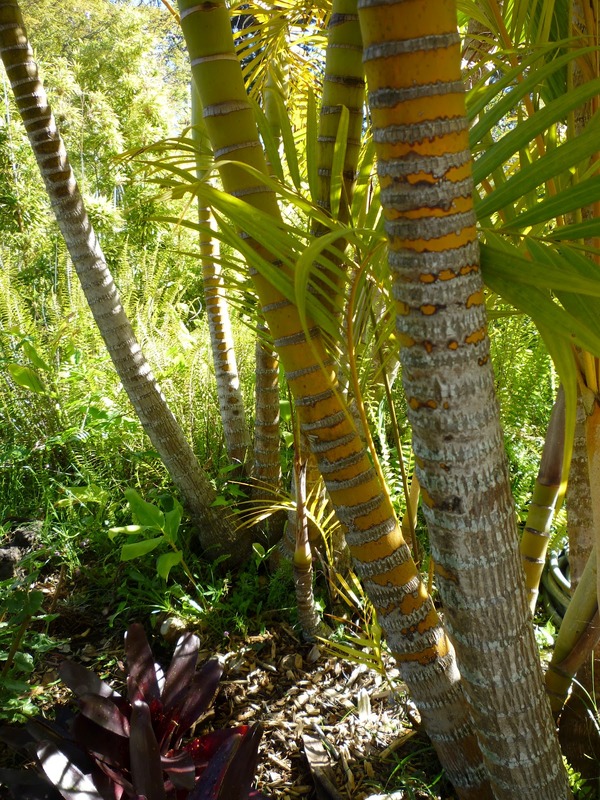 Still, I will have more to say about trees and flowers in another post about this fascinating Mauian world. 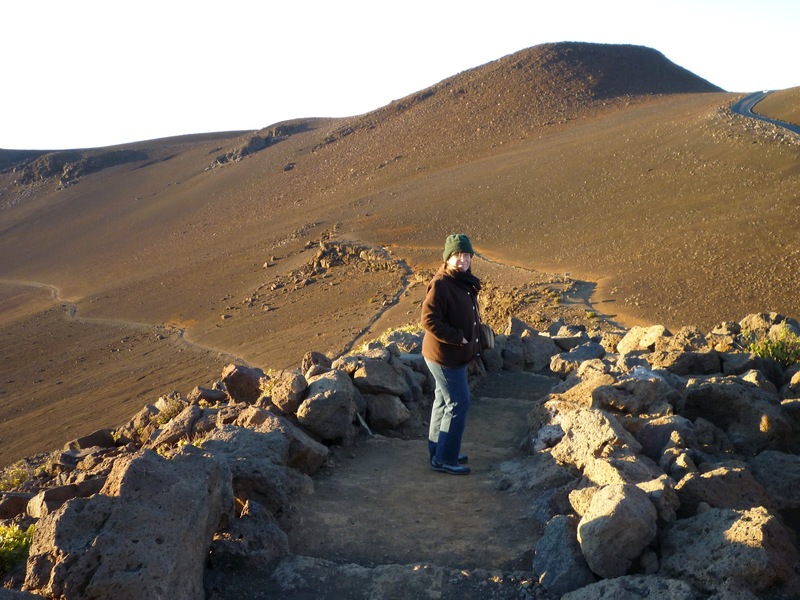 The rim of the now-quiet Haleakala Volcano is at 10,000 ft. elevation, and if you factor in the fierce wind that blows up there, the temperature can easily drop below freezing, especially before sunrise, which is when we felt it. We had packed our fleece jackets so as to be ready, and I wore gloves, hat, wool scarf. (I know, some of you are thinking, What? In Hawaii?) I instinctively stiffened up to withstand the buffeting, which made it hard to hold the camera or even smile for a picture. I could see with my eyes that the sunrise was lovely, but I couldn’t enjoy it; I just wanted to go somewhere safe and warm. Eventually we did sit in the car to eat a snack, while I wondered if I would feel old and decrepit like this from now on. 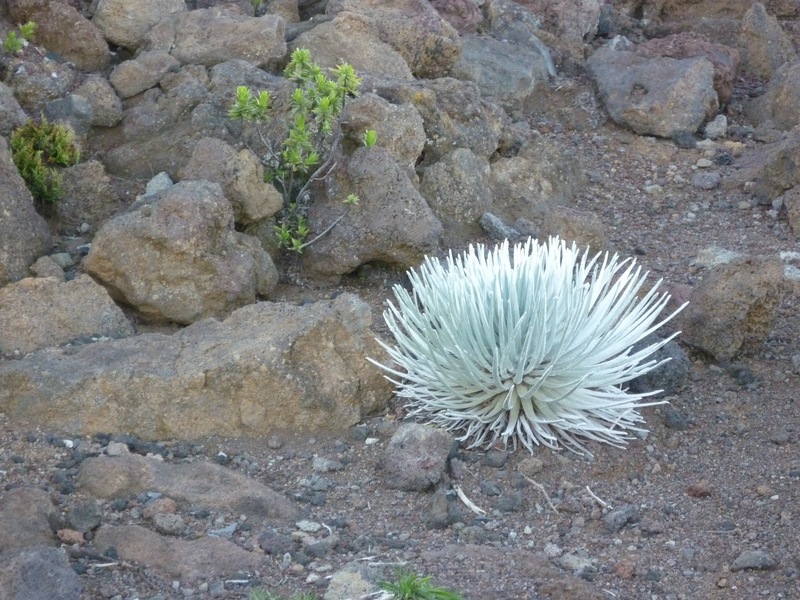 We took pictures of the Silversword plant, which grows on Mt. 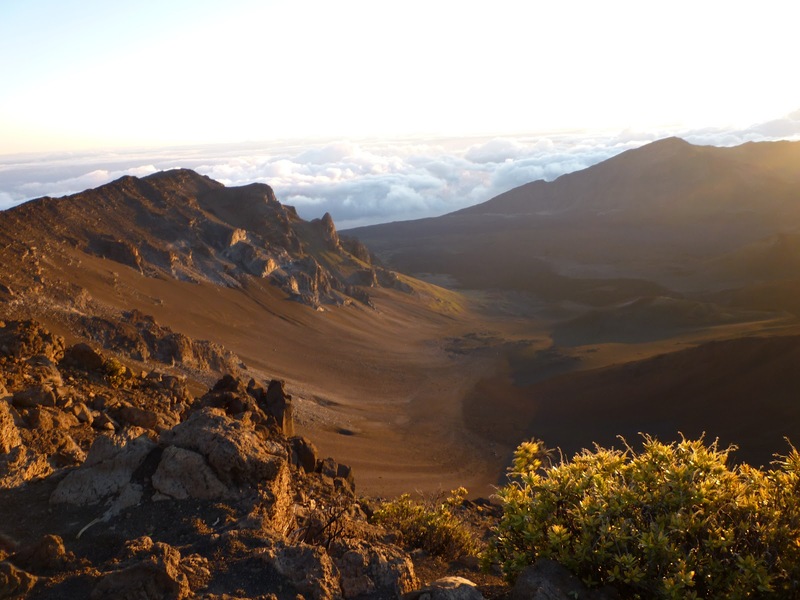 Haleakala and nowhere else in the world. My blood was moving about as fast as the atoms in the volcanic rock, but Mr. Glad wanted to drive further up the rim for more views. I stayed in the car. A feeling of well-being did not return for quite some time, and it was flowers and trees that brought full restoration. That story includes lots of photos and requires all of the next installment of this journal, coming soon! My first view of Maui was of slender palm trees bending and blowing wildly in the strong wind, as our plane dropped down over the airport. Getting off, we didn’t walk through the usual airtight and musty corridors, but into an open-air terminal with the smell of flowers wafting through. Almost all the palm trees I saw over the next few hours were nice to look at, lacking the many dead fronds I’m used to seeing on those at home, and a great many of a variety of trees we saw during our stay appeared to have been trimmed carefully and maintained in such a way to highlight the natural and graceful curves of the trunks and branches. Mr. Glad and I had come to live in the soft air of Maui for eleven whole days in March, to celebrate our wedding anniversary and God’s love to us and in us. What better place, where the Creation itself seems so gently embracing and kind. 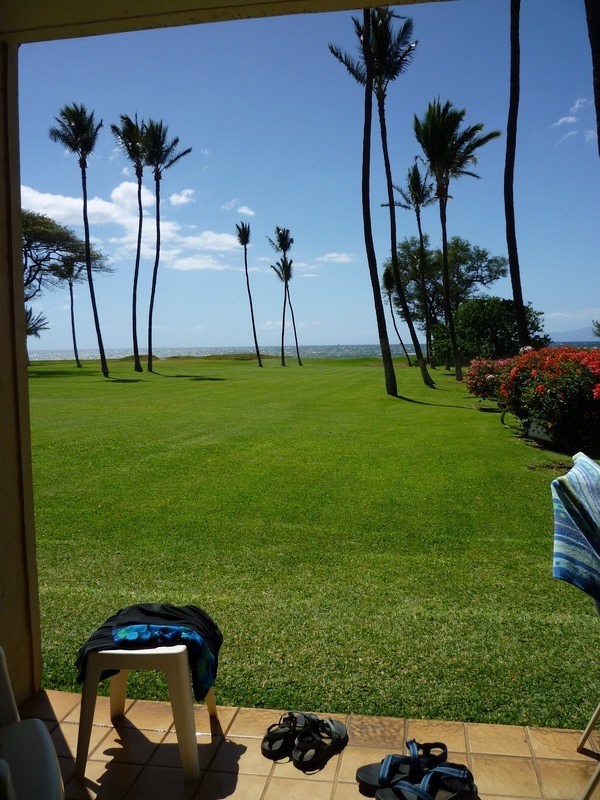 We flew straight from San Francisco to Maui and didn’t wander from that island, and we stayed all but one night in one condo in Kihei, on the South Shore. 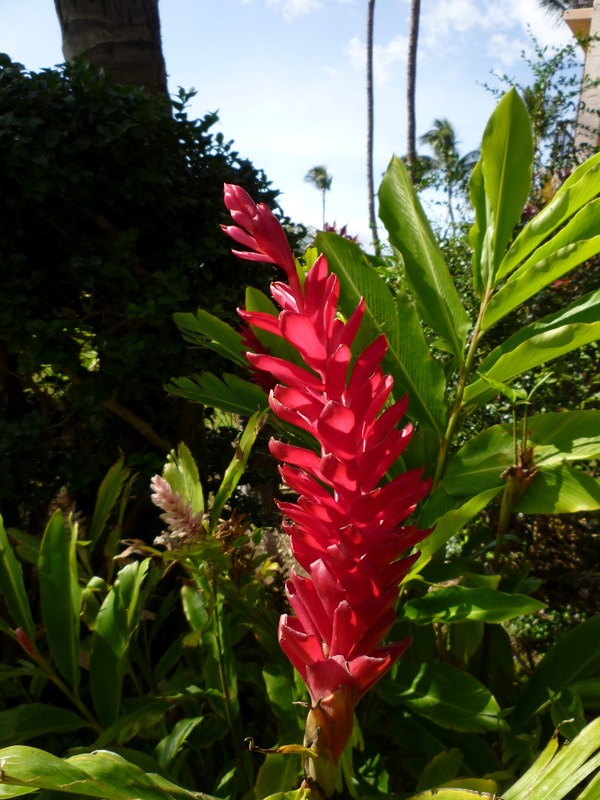 (The red ginger bloomed a few steps from our patio — or as they say in Hawaii, lanai.) I loved having that home base to return to from our daily adventures. I will be writing a series of posts to scrapbook many of my impressions and our Glad doings on this island holiday.